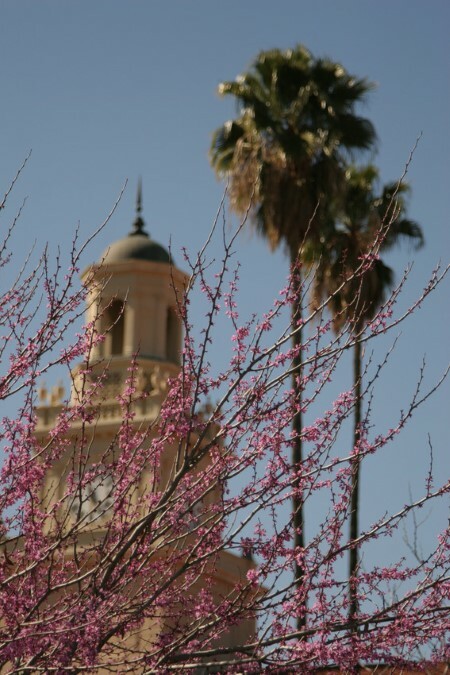 The University of Redlands has again received a Tree Campus USA recognition from the Arbor Day Foundation for its commitment to effective urban forest management and for engaging staff and students in conservation goals. The University, which boasts more than 1,700 trees on its scenic 160-acre main campus, earned the recognition by meeting the Tree Campus USA’s five standards—maintaining a tree advisory committee, a campus tree-care plan, dedicated annual expenditures for its campus tree program, an Arbor Day observance and student service-learning project. 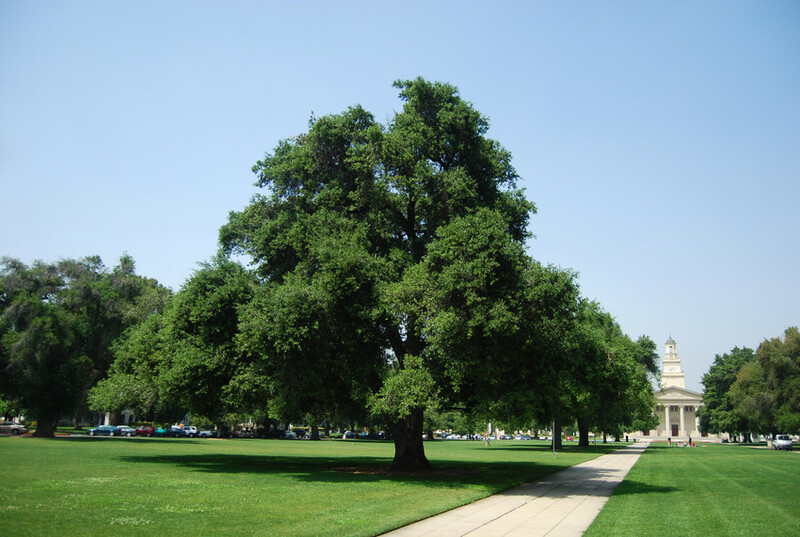 The U of R has more than 1,700 trees on its scenic 160-acre main campus. To mark this year’s Arbor Day and celebrate the Tree Campus USA recognition, students from nearby Franklin Elementary School joined members of the U of R’s chapter of Dr. Jane Goodall’s “Roots and Shoots” and U of R Community Service Learning staff and students for a planting in the Sustainable University of Redlands Farm (SURF). Three companion trees were planted near the Jane Goodall tree—which Goodall herself helped to plant during her visit here in 2016—to create a small dwarf citrus garden. More information about the program is available on the Arbor Day Foundation website.